Ace Hardware Corporation has been recognized as one of the Best and Brightest Companies to Work For in the Nation by the National Association of Business Resources. The Best and Brightest Program recognized 512 national winning organizations from across the country out of 2,400 nominations. Ace Hardware was named one of the top 101 highest-scoring companies in the country. As a Best and Brightest Company to Work For in the Nation, Ace Hardware was recognized “for positively impacting employees’ lives, helping them achieve fulfillment in their careers and go home happier.” The 2018 national winners raised the bar and scored above the benchmark in several categories including compensation, benefits, employee engagement, retention, recruitment and work-life balance. “Companies that recognize that their employees are the key to their success achieve staying power. Our 2018 winners create their human resource standards to ensure employee satisfaction and they set standards for every business to aspire toward,” said Jennifer Kluge, President and CEO, National Association for Business Resources. In addition to this award, Ace Hardware was recognized as one of Chicago’s Best and Brightest Companies to Work for in 2018 by the National Association of Business Resources. For the second consecutive year, Ace Hardware also ranked among the top 10 employers for the Chicagoland area in The Chicago Tribune’s 2018 Top Workplace list. To see the full list of national Best and Brightest winners, click here. 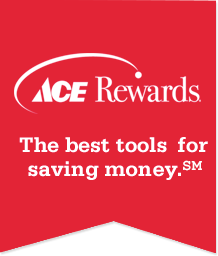 Ace Hardware is the largest retailer-owned hardware cooperative in the world with more than 5,200 locally owned and operated hardware stores in approximately 65 countries. Headquartered in Oak Brook, Ill., Ace and its subsidiaries operate an expansive network of distribution centers in the U.S. and have distribution capabilities in Ningbo, China; Colon, Panama; and Dubai, United Arab Emirates. Since 1924, Ace has become a part of local communities around the world and known as the place with the helpful hardware folks. For more information, visit acehardware.com or newsroom.acehardware.com.